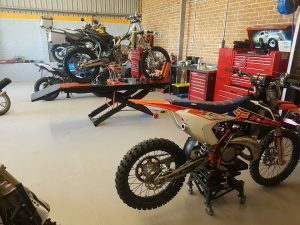 the opening of HPN Moto Garage in Port Macquarie. Commencing business from the 1st of August. For all your quality Motorcycle Service Repairs and Parts. For those of you who don’t already know us we have over 30 years combined experience. Learn more about us here. At HPN we will endeavour to continue to offer the highest quality service and repairs, Quick turn around and value for money. Call your local Motorcycle Mechanic today..